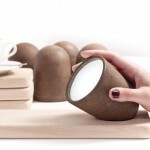 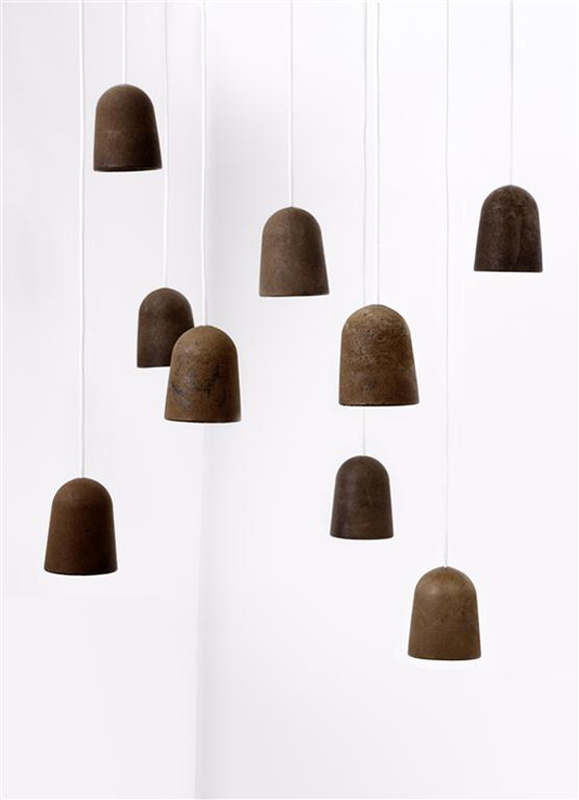 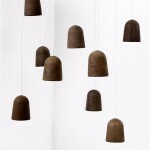 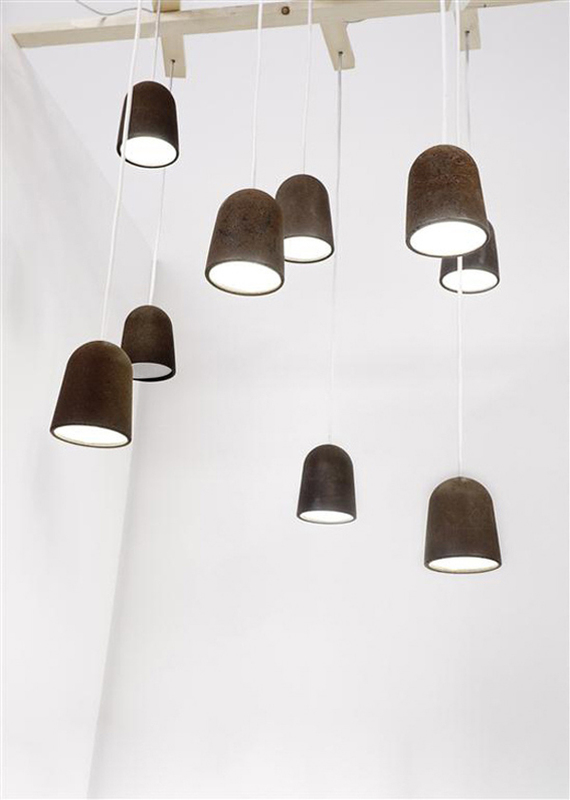 Decafè lamp is a Salone Satellite Awards-winning design by Raúl Lauri made of recycled coffee grounds. 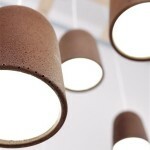 The lamp design is not only green and sustainable but it is also stylish. 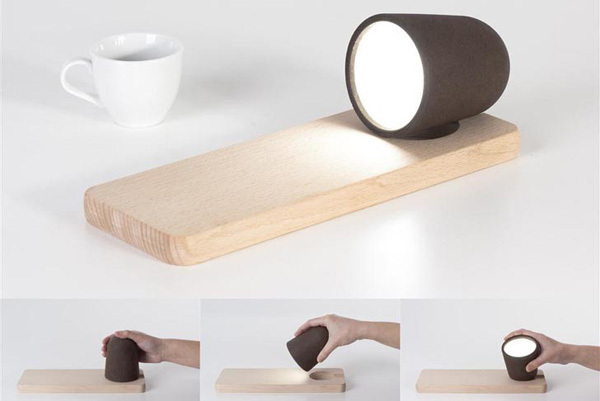 The lamp is shown in several variations including the cordless version on a wooden base that is switched off when put down. 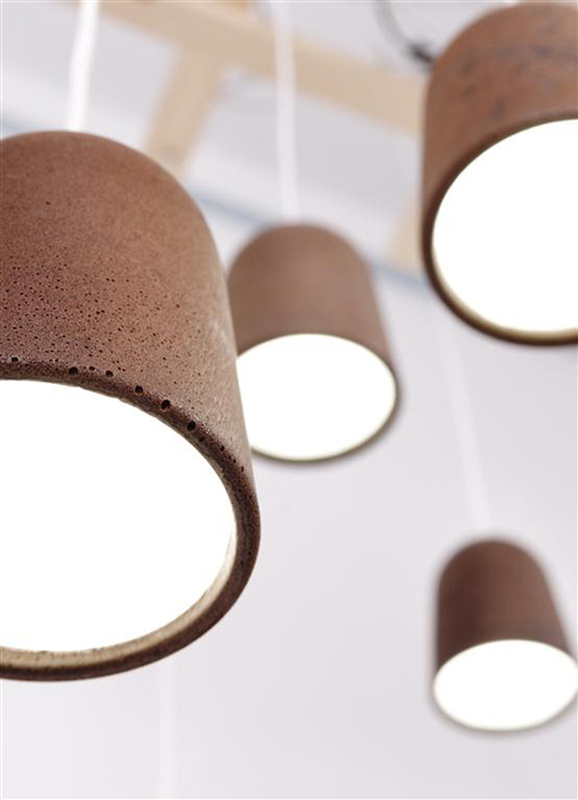 Decafè Lamp has a coffee-brown color and porous texture. 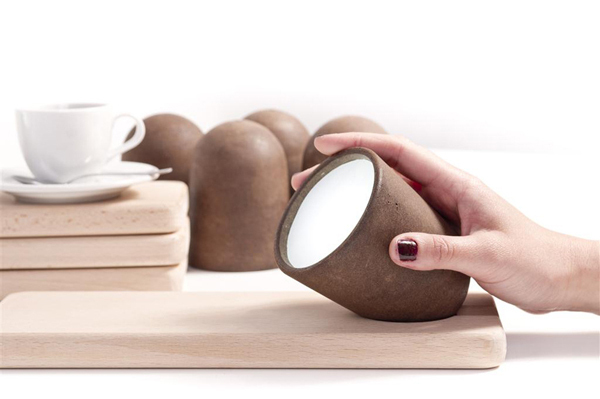 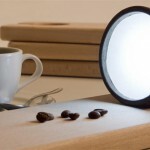 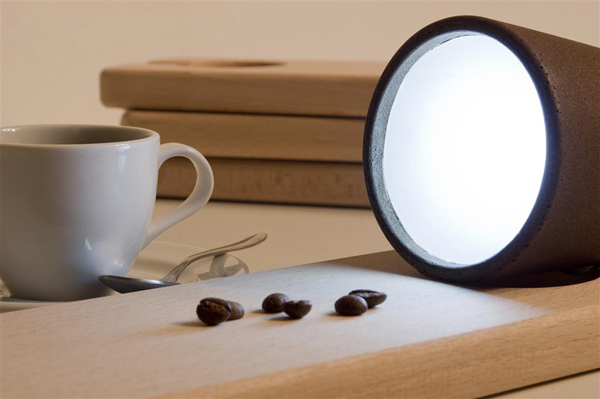 But apart from all the visual and earth-friendly qualities the Decafè Lamp is also aromatic. 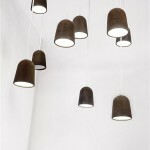 Decafè lamp was also made in pendant and floor versions in different shapes and sizes.